The secret to the perfect no-bake cookies. Here's my recipe too. It's worth a read if you're trying to figure out if/why it hasn't worked. Getting rid of things that have served their purpose. A real passion of mine. Principles healthy women practice. Consistency and habits is my takeaway here. 5-Ingredient Butter Tomato Sauce. I'm thinking over a mixture of zoodles and noodles? In case you can't tell, I love audiobooks. This is the single best way I've ever discovered to do two things at once. Other people like them too! On Treat Yo Self. This is often the excuse people give for why they need this or that. I, for instance, just bought a rather expensive tote bag and the insane turkey-trail train of thought that got me to click "Complete Purchase" was really a stretch. However, this is my new school year present to myself. For me, it's about the experience, promise, and usefulness of the new bag. It's not just feeling like I want to spend money on something just because. 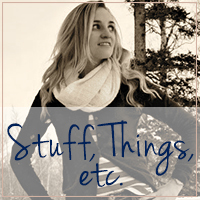 Speaking of...this blogger wrote about school supply lists in the best way. I swear that I, as a teacher, am not trying to break your wallet if you're a parent. I don't even make the list! I have nothing to do with it actually. And I spend about $500 a year on supplies and books. Maybe more. It's really too depressing to keep track of, so I don't. JP Sears on the Olympics. I'm not really watching. They're on in the background (because what do I pay for if I can't leave the TV on all day? ), but I prefer the winter games. Speaking of links...have you tried the Rodan and Fields Solution Tool? I've been contacting A LOT of people lately and just asking What would you change about your skin? If you had a choice (and you do!) what would you want to improve upon? The Solution Tool will help with that! It takes about 7 seconds. 37 seconds if you read over the results kinda carefully. RF was actually only sold at high-end department stores 10 years ago. The doctors who created it decided they weren't reaching enough people that way, so they pulled a completely successful product line from the shelves and put it into the hands of consultants. We're not all Blair Waldorf and don't all shop at Bendel's, right? Right. I make a super simple butter spaghetti sauce but not that one. It's really the easiest weeknight sauce for sure! That's funny that there's a "secret" to making no-bake cookies. I've made those cookies a gazillion times and never had a problem! My spiralizer comes today!! Might need to try that sauce but I also think I'll make that balsamic chicken you posted about. I believe in treat yo self but I also believe in not letting it become an addiction. It's way too easy to start utilizing retail therapy every single time we have a bad day, and that's how you go broke. And also how you end up with a bunch of crap you don't really need and has no meaning and usually ends up right back at Goodwill. JP Sears is the bomb. His video about gluten is my all-time favorite. mmmm tomato butter sauce? sounds amazing. thank you for sharing that gretch rubin thing, i have quite a few things at home like laptops, phones or even clothes that i struggle to let go of even when i have no use for them. i really just need to do it. yay for audiobooks! I like both winter and summer olympics, but prefer summer mostly for beach volleyball. I get so bothered with parents that complain about the school supply list, but even more with the parents that complain about it like it's the teacher's doing. I send the kids in with extra. Anytime I get a list home asking for needs for the class, I buy more than the "one or two" that the list asks because I know that it won't kill my bank to send in a few extra things, but I know that it'd kill me to have to provide all the things for 20+ students. I definitely don't mind helping with school supplies. I get so annoyed when people complain about it. End rant. 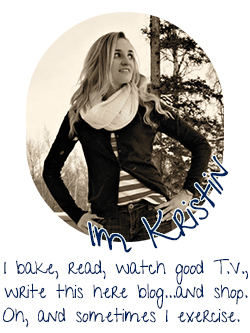 I love Budget Bytes blog - and everything she makes is so simple, and delish!